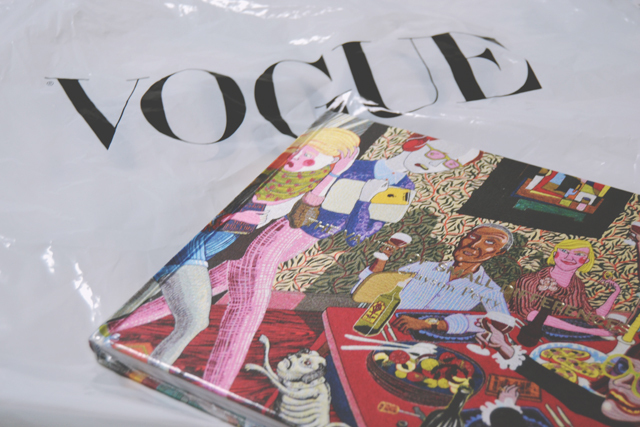 When I found out that Grayson Perry, my favourite artist and pretty much one of my favourite people alive, was going to be at the Vogue Festival, I couldn't book my ticket fast enough! My eagerness paid off, as I managed to get a really good seat and I've been looking forward to it for weeks. 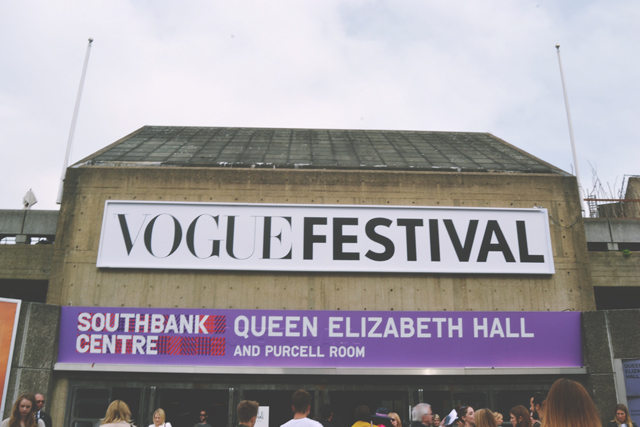 Today was finally the day that I headed back to Southbank Centre for the Vogue Festival 2014. I was a little early so after a quick Lush stop (naturally! ), I found a cosy little cocoon to curl up in and eat my lunch. It was insanely comfortable and I felt very smug when people walked past and commented on what a great spot it was. 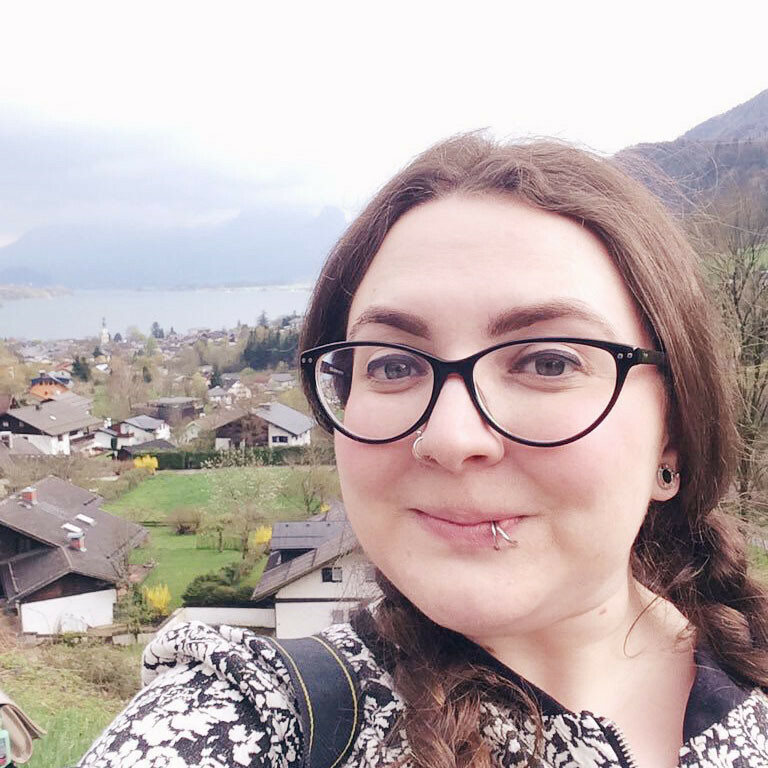 I even spotted one guy taking a photo of me in there, and managed to photobomb the selfie of somebody who was blissfully unaware of my presence behind them. 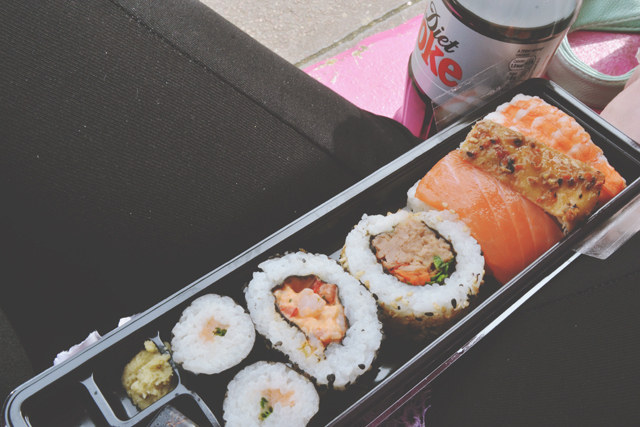 It really was the perfect spot to snuggle up in with my legs crossed and stuff my face with sushi. Yum! Then it was time to head to Queen Elizabeth Hall and join the throngs of fashionable people. I was a lot less intimidated this year. Probably because I just didn't care about looking stylish or cool. The foyer was laid out much more effectively too- There was a lot more room to move around so it seemed a lot more spacious. When I found my seat, I was very happy with my view. This is unzoomed so you can see that it was really pretty decent. I was right on the end of the aisle too so I had all the space I wanted to the right of me. People are much more likely to say something is bad taste. That's easy. Saying something's good taste is pinning your colours to the mast. [Safety] is the worst crime in my book. Irony is to protect you from sincerity. One of my greatest fears is becoming fashionable... Ridiculousness for me is a compliment. What is better? Better in my book is looking more interesting. The Daily Mail newsroom is the fascist headquarters of taste. Good taste is that which does not alienate your peers. Any time someone says "cupcakes", alarm bells go off. Although I expected Grayson Perry to be as witty and thought-provoking as he was, I was surprised by the depth and warmth of Jasper Conran's comments. Good taste is expressing yourself and what's interesting is how your taste changes over time. That which is tasteful today will be bad taste tomorrow. Surprisingly, Lily Allen was very quiet and almost timid. 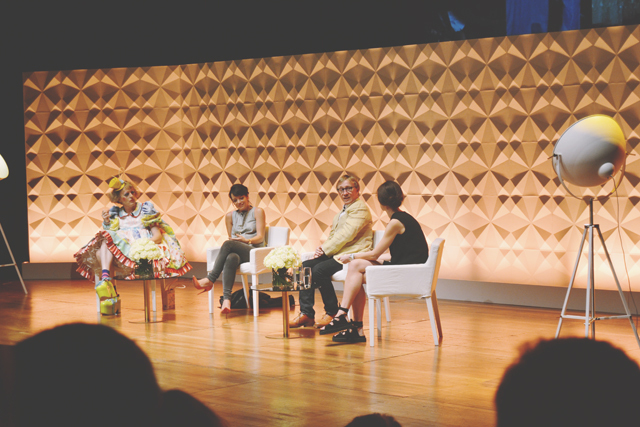 She seemed intimidated by the eloquence, and perhaps the "high culture" element, of the other two panellists. It's a shame as I do like her and I was looking forward to hearing her views on the subject of taste. I did find it very interesting that Grayson Perry and Jasper Conran had the same socks on and I wondered if they were aware of this. It was fascinating to see how one item can transcend different styles and, indeed, tastes. Afterwards, Grayson Perry was signing books. You can imagine how excited I was by the prospect! I hurried off to the shop, picked up a book and headed to the till, only to be told it was cash only. I asked where I could find a cashpoint and was given some ridiculously complicated directions that turned out to be completely wrong. By the time I had found the cashpoint, bought my book (and found that they were now accepting cards) and got back to the signing area, the line was closed. For some reason, they'd ended the signing about 20 minutes earlier than listed. I was not a happy bunny! I was *this* close to meeting one of my inspirations. I was really annoyed (not to mention hot and sweaty!) after all that running around, so I abandoned my plan of taking street style photos and headed straight home. Oh well, I guess I got a new book out of it! On the way out, members of staff were handing out these lovely Harrods totes. Pretty, right. 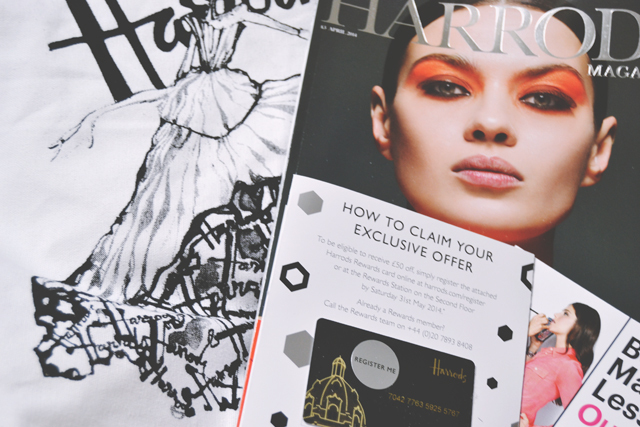 They also came with a Harrods card that will allow me £50 off my next transaction of £250 or more instore. Ha! Despite the disappointment at the end, I had a wonderful day. 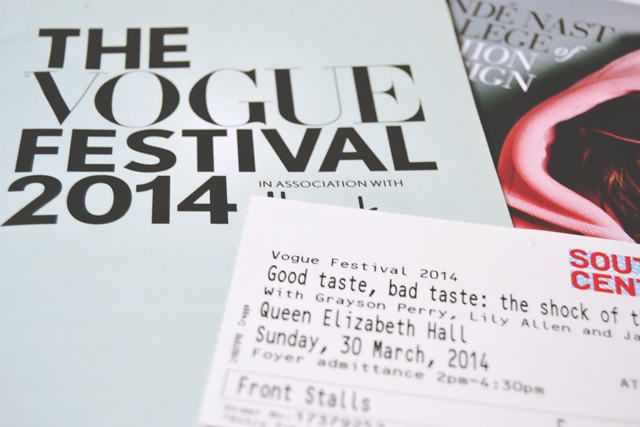 It was such an interesting discussion and I'd love to see Grayson Perry speak again sometime. Maybe I'll even get to meet him! 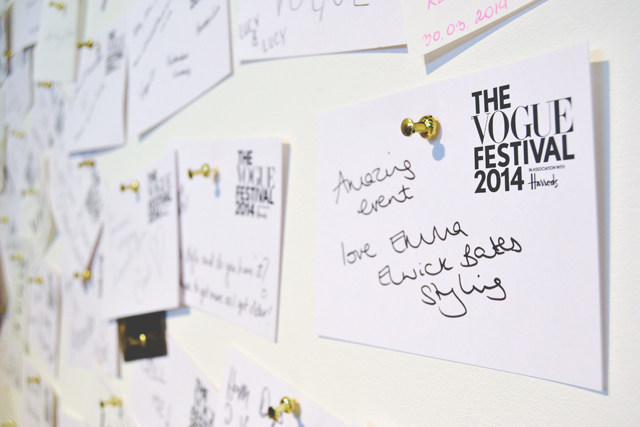 I really recommend the Vogue Festival. I went last year too and it was great! 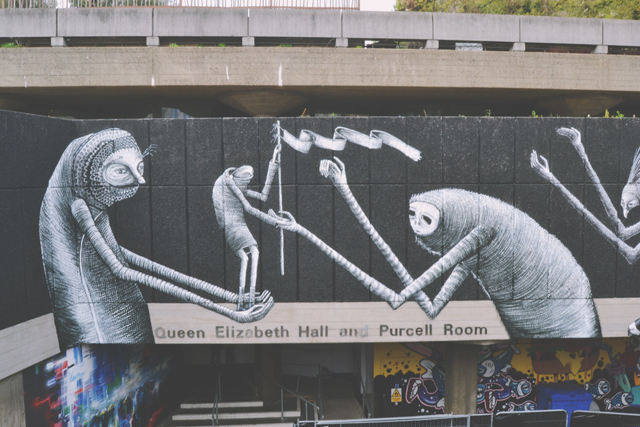 Southbank just has so many great events on all the time. I know! Maybe I should have just shouted at Grayson haha! I wanted to go to this so much, but decided to save money and give it a miss this time. Sounds like a really interesting event with 3 very interesting people. I can't believe you missed the signing, what bad luck. I would probably have cried at that point. The South Bank needs more cash points!!! I was so annoyed! It was just a whole series of bad luck what with the broken down card machines and unclear directions! This sounds amazing, Grayson Perry is an amazing artist & surprisingly I actually got to speak to him a few years ago when I went to one of his exhibitions. That is a total shame about the signing afterwards! 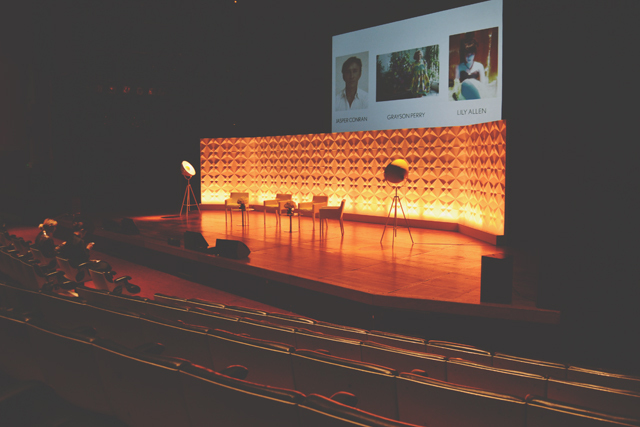 Jasper Conran's first quote is a really lovely one, genuinely looks like an amazing event! Oh wow, that's amazing! What was he like to talk to?